With spring right around the corner, it’s time to start planning your home improvement projects. Whether it’s a major spring cleaning, replacing your old windows, getting your lawn ready for the upcoming summer, or giving your back deck or front porch a facelift, there are tons of projects from which to choose. To help you decide which one or ones should be your top priority, here’s a quick look at some of our favorite spring home improvement projects. There are plenty of reasons this is the time of year to get rid of your existing windows, particularly if they are cracked, loose, or stuck in place. New windows will give your home a stylish updated look while providing added safety and security. If your current windows are stuck or hard to open, then you are missing out of those fresh spring breezes. When the summer heat rolls in you’ll be glad your new windows are keeping the house cooler and helping to reduce your electric bill. Getting rid of all the things that have been sitting inside or outside your home gathering dust is the perfect way to make your home feel larger, lighter, and more comfortable. Donate clothes and shoes that don’t fit, along with unwanted housewares and electronics. Once you’ve decided the items that need to go, take them away off as soon as possible. Don’t be that person who has boxes stacked in your garage for years. You can also go big and choose to have your entire exterior done. New siding can make you feel like you’ve bought a new home and will ensure your home looks fabulous for any summer parties, impromptu or planned. Unlike painting which must be done every few years, with vinyl siding it’s a one-time spring project. Go with insulated vinyl siding to help further reduce summer heating costs. This spring project can be as big or small as you want it to be. Start by staining the wood and adding tons of flowers in colorful containers. Take it further by replacing old railing, adding a cover and new lighting, and revamping your old furniture with a coat of pain and new, colorful cushions. 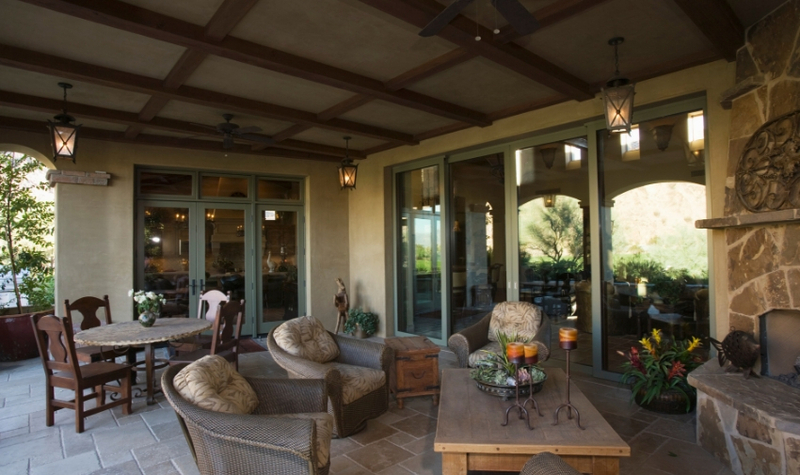 Give your deck the ultimate facelift by adding a sunroom. Then you can enjoy your deck year-round, no matter what the temperature outside is. You’re bound to see heavy rains as spring progresses, so now is the time to make sure your gutters can handle it. Clear out any debris, including leaves, twigs, and dirt, and check for any areas that need to be repaired. Consider having a gutter guard installed so that next spring you don’t have to repeat this project. If you’re happy with the color of your home, take the time to make sure it looks as beautiful as the day it was brand new. Power washing, which may require that you hire a professional, will remove caked on grime and prevent the growth of mildew and mold. The results will be amazing. It’s inevitable that you’ve tracked in dirt and mud through the long, wet winter months. Plus, even if you vacuum daily, there is still going to be a buildup of dirt, dust, and food particles that has gotten trapped deep inside your carpet fibers. A quality deep cleaning will not only make your carpet look and feel so much better, but it’ll also remove allergens and bacteria. To make sure your heating and cooling system is running as efficiently as it possibly can, call a HVAC tech out to give it a thorough inspection. Be sure that you are also regularly cleaning and replacing filters. The last thing you want is for your AC to die in the middle of July. Spring is the best time of year to give your home a new look and take care of any home improvement projects you may have been putting off through the winter months. Give NC Siding a call and we can assist with many of your spring projects.